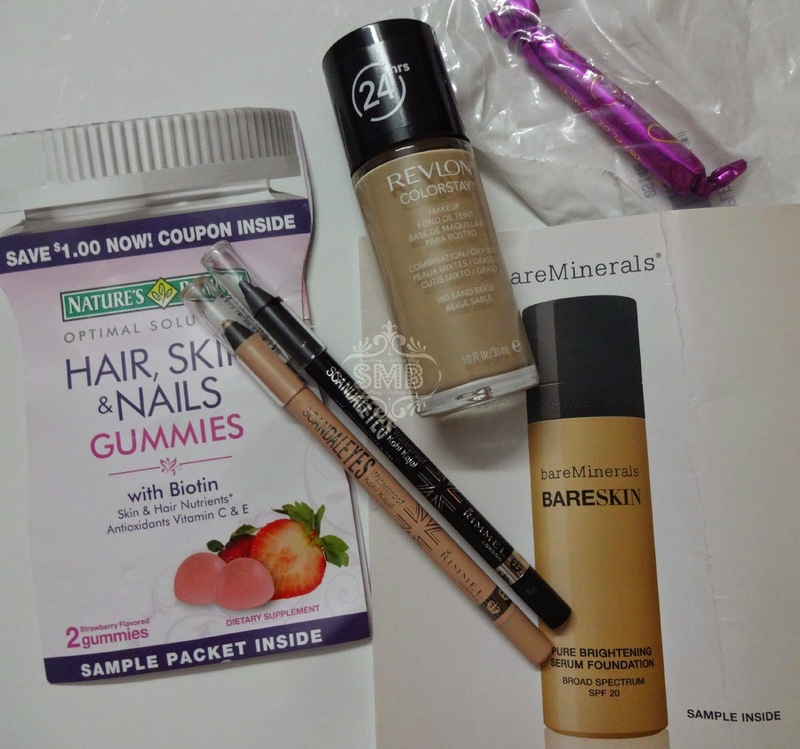 HAULS: Collective hauls from 2014 & 2015+ Wishlist!!! 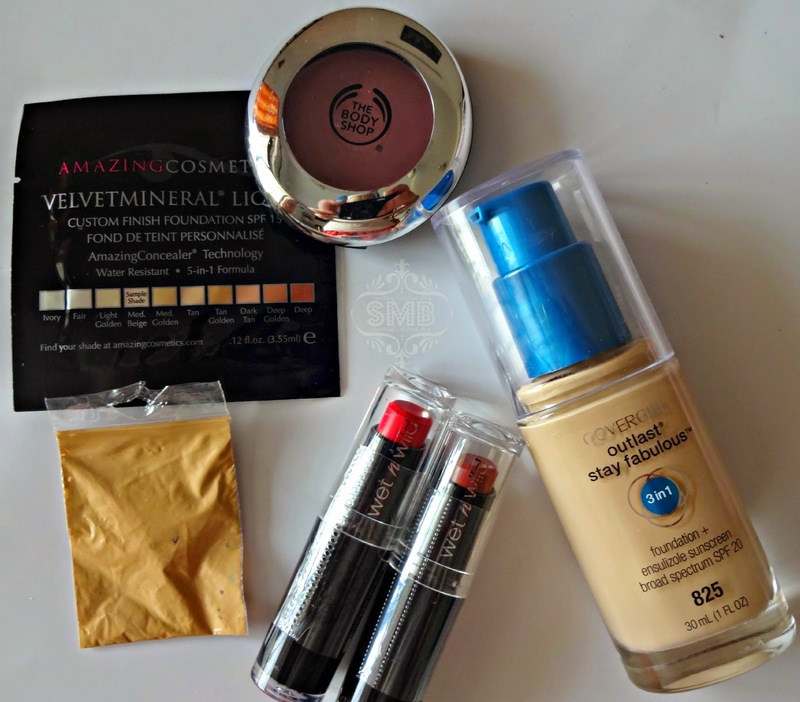 I just realised that its been long since I shared my Makeup Hauls, reasons were there, but now I present to you a collective Haul rather Hauls from 2014 and 2015 to start with, along with my Wishlist! Read More to Reveal More!!! I started off the year by getting my hands on the much raved Sam's picks set by Real Techniques. It was out of stock and few FB stores were charging a heck of price for this. 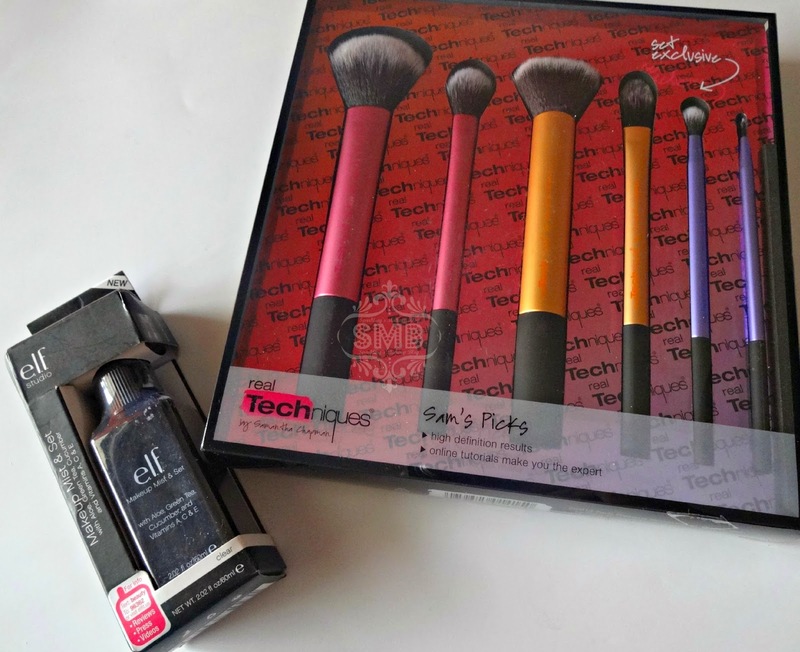 In all this fuss Beauty Hub, offered me a good price (PKR 4500/-)for it,I added long wanted ELF mist & set too. The sad part was that my order came in a plastic packet, glad nothing happened to my set but still it kinda broke my heart, as after spending approx 5000/- with a store one doesn't expect the things to be sent in just a plastic packet (which was torn during transition). Still no complains. In Feb last year I was blessed to visit the Holy city of Madina (during my Umrah) I didn't do much of makeup purchases due to time shortage, just visited MAC in Makkah Tower once. In Madinah I took a plunge between two prayer times and purchased this beauty Anahilwa Lipstick by Mikyajy in shade#14 TARUT for 19/- S.R. Last year I was on the look for finding my best and favourite foundations (the reason you'll see atleast 3 foundations in this post). I swatched this one in Scentsation, Islamabad,was quite impressed, then after reading quite a raving reviews I bought it from Shaheen Cosmetics F-6 Islamabad. 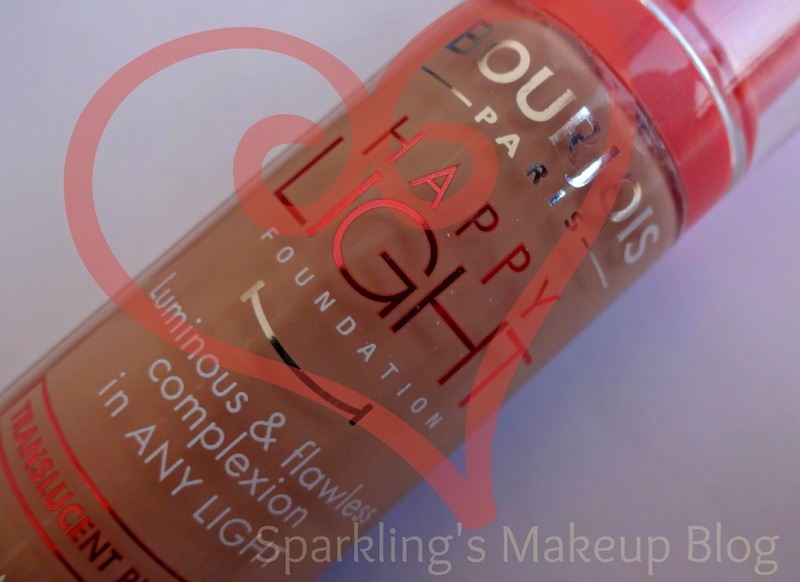 Bourjois Happy Light Foundation in Rose Vanilla #51, for PKR 2350/-. It was good but unfortunately not for me, something was wrong either the undertone or setting it on, I gave it away! Drug Store Summer essentials from D. Watson. 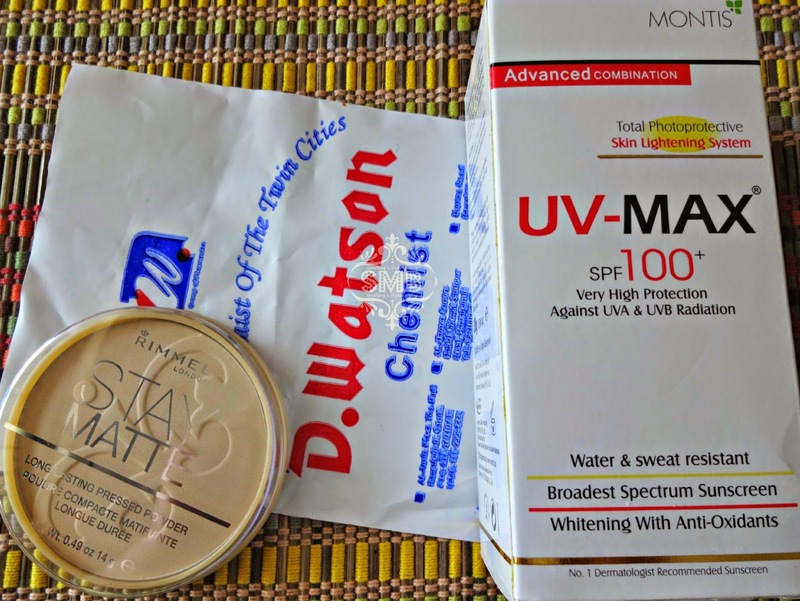 Rimmel Stay Matte for PKR 750/- and the UV MAX sunblock for Pkr 690/-. Both reviewed here. My all time trusted Facebook store Shopaholic got me my most craved products from my last years wishlist. WetnWild Lipsticks in "Red Velvet" and "In the Flesh" Pkr 485/- each. 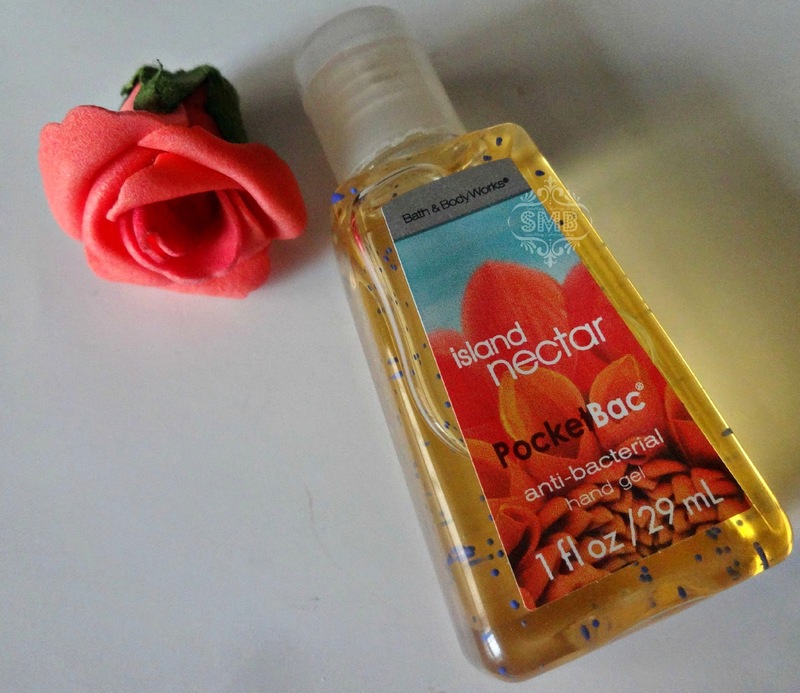 BNBW pocketbac in Island Nectar for pkr 325/-. 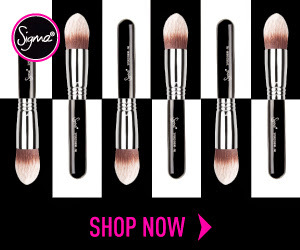 CoverGirl Outlast 3in1 foundation #825 for pkr 1650/-. This foundation was the fabulous-est I tried so far but unfortunately it is reported to be having animal fats, I wrote to the brand but got no reply so had to leave this too :( The body shop blush and foundation samples are friendly gifts from the owner. 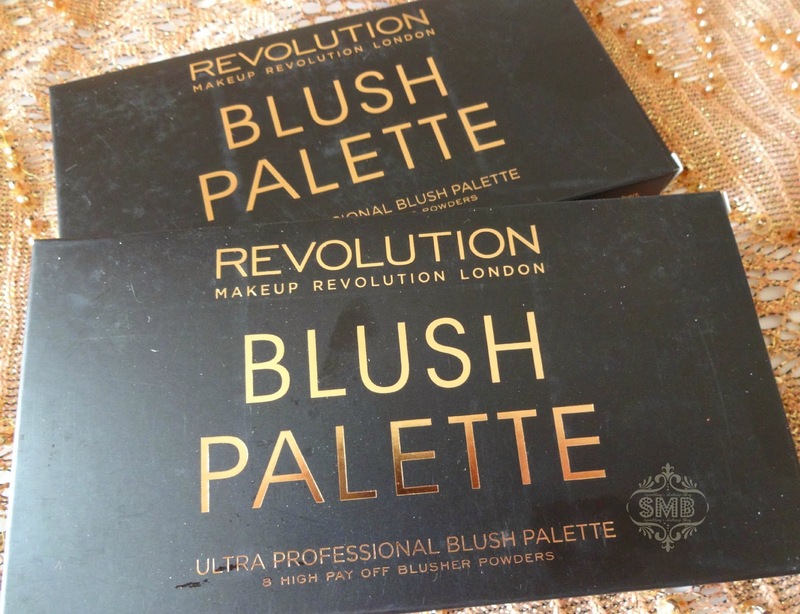 When Makeup Revolution London was launched in Pakistan all me fellow bloggers including me went GAGA over it, I picked these two lip products to try the brand. 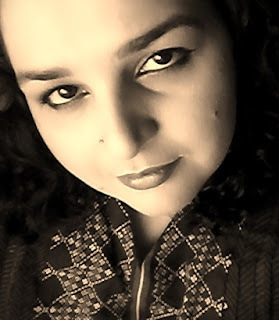 Lipstick in "Twist" and Salvation Valvet Lip Lacquer in "Keep Crying For You" Pkr 225/- and Pkr 550/- respectively. Thanks to Huda for getting me thses things along her order from Just4Girls.pk. 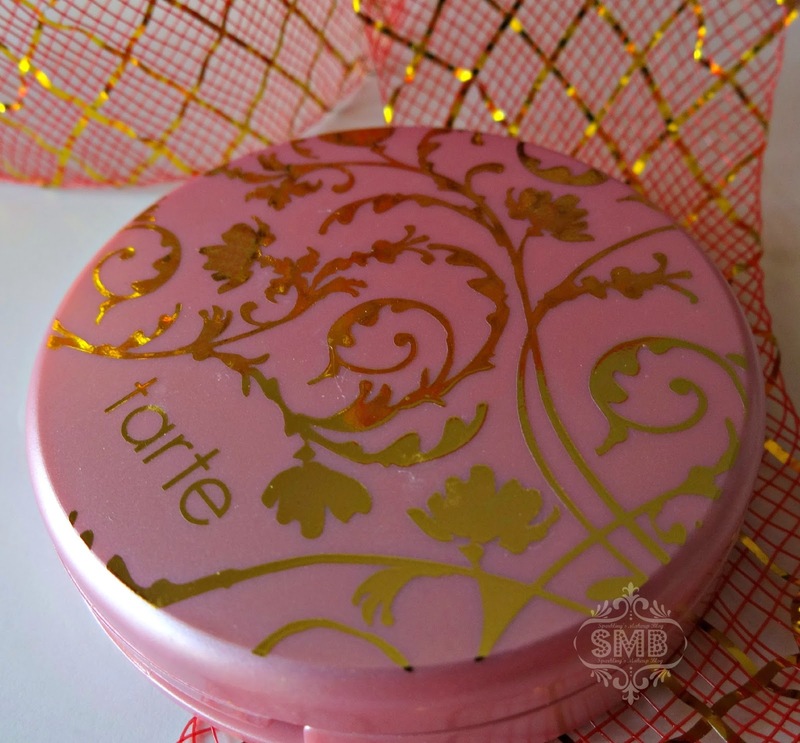 I spotted Tarte BB cream deluxe size in Light shade at HASH, ordered right away. 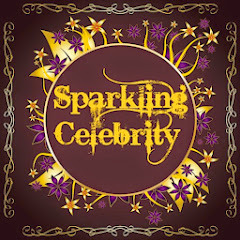 Only for Pkr 1000/-. 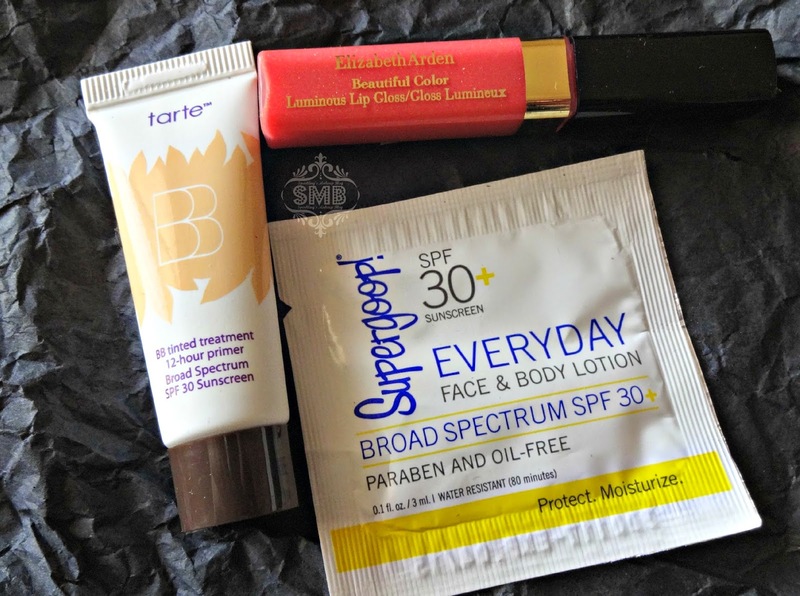 Elizabeth Arden Lipgloss and the SuperGoop Lotion sample is a gift from the owner. 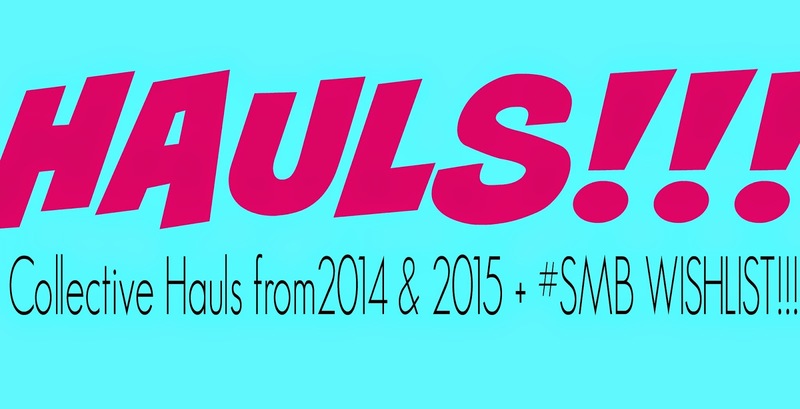 Follow the hashtag #SMBHauls on Instagram, Facebook and Twitter. 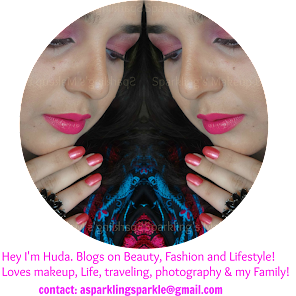 Huda is one lucky girl! ^_^ hope you keep hauling more this year! 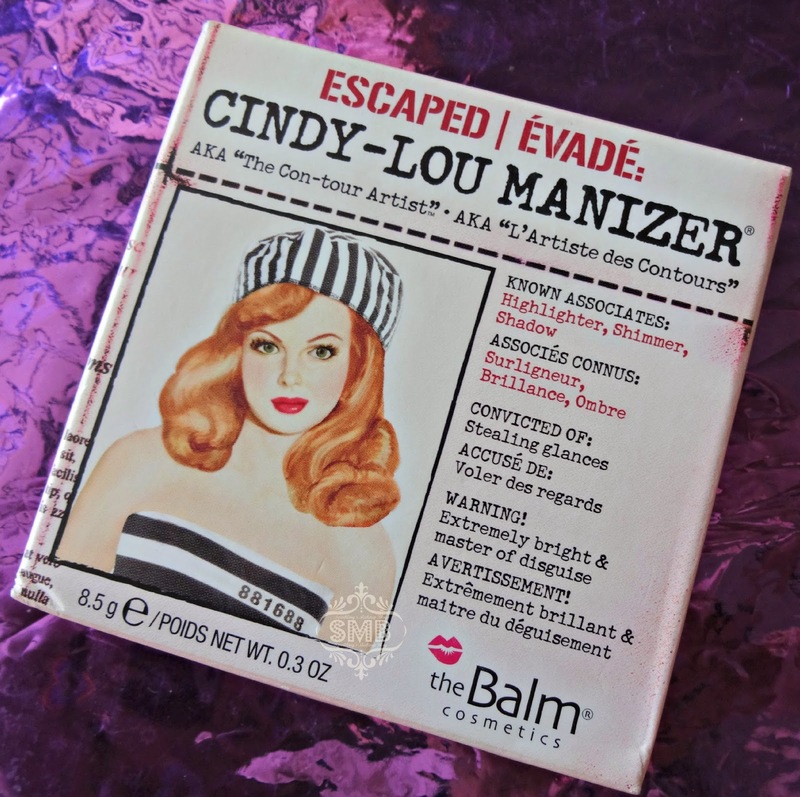 I've wanted the Cindy Lou-Manizer for an age.. fantastic haul - enjoy all the goodies! OMG, I love pretty much anything from The Balm. Their packaging and product is amazing! Awesome, awesome haul. Literally I'm drooling over that Real Techniques Brush Set.